When trying to coordinate a wall color with your window shades, you might be tempted to revert to a safe choice: off-white, beige or ivory. While safe choices can be soothing, they also can be a little dull, especially if you're eager to showcase your new shades in the best light possible. Your flooring. Neutral carpeting exudes a completely different look than hardwood flooring. And shades of hardwood can vary greatly, from light oak to deep walnut. 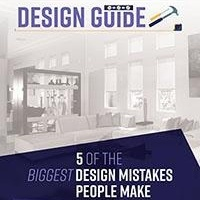 Put your shades right up against your flooring; then rotate some paint samples right next to the pair and watch how the effect literally changes before your eyes. Flooring anchors a room. Paint can frame these two choices to great effect. A treasured piece of furniture – the kind you wouldn't part with it even if you were offered a king's ransom for it. It could be a treasured family heirloom or a shabby-chic piece you picked up at a flea market. Clearly, it's not going anywhere, so be sure to bring symmetry to a room by coordinating your paint choice with this piece and your window shades. The aura you wish to establish in a room. Generally, neutral colors can make a room seem larger and darker colors can make it seem smaller and cozier. But there is nothing like a splash of bold color to give a room a shot of energy. 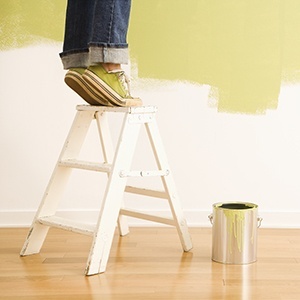 Paint on only one wall can be both dramatic and compelling, especially in a family room, kitchen or child's bedroom. 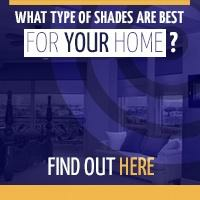 Every color has a neutral shade that can bring muted energy to a room. You don't have to “go white” to achieve neutrality. Colors can look different throughout the day as lighting changes and the sun rises and sets. Always spread some paint on a poster board and prop it in a room so you can observe it over the course of several days. 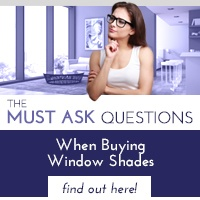 The shade experts at Polar Shades can help you finesse your choices, be the color of your shades, the color of the decorative trim on your shades or the color of your wall paint. 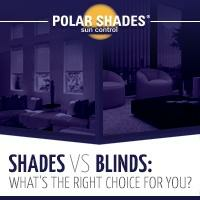 The window experts at Polar Shades can help you color your home beautiful.